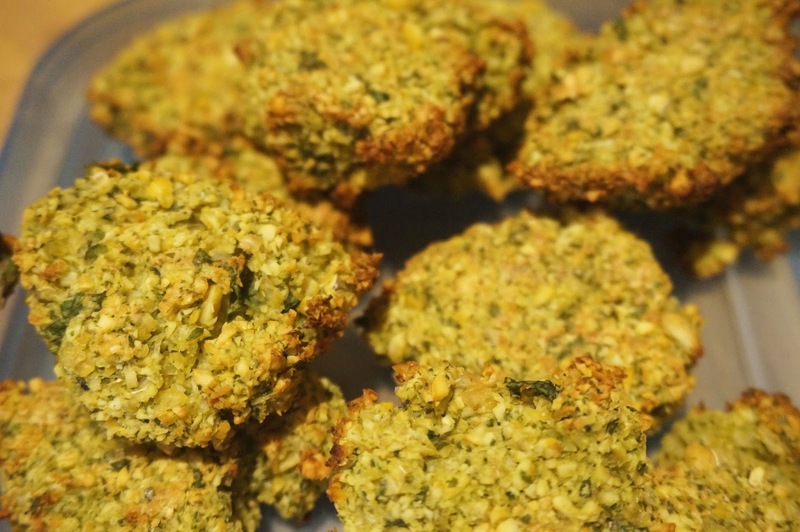 Falafel is perhaps one of my favourite things to eat and thrown with some form of salad it makes the perfect lunch. However, most of the recipes that I have seen online call for it to be lightly fried...until I came across a baked recipe which suits me much better. 001)Preheat the oven to 190c. 002) Allow the chickpeas to soak overnight so that they are nice and soft to use. Canned Chickpeas will not work as well. 003) Add the Chickpeas as well as all the other ingredients into a Food Processor and blend until you can squeeze them into balls. If they are processed too much then they will not squeeze into balls and fall apart. 004) Place Falafels onto a baking tray and bake in the oven for approximately 25 minutes turning them over halfway through.